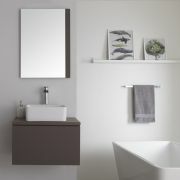 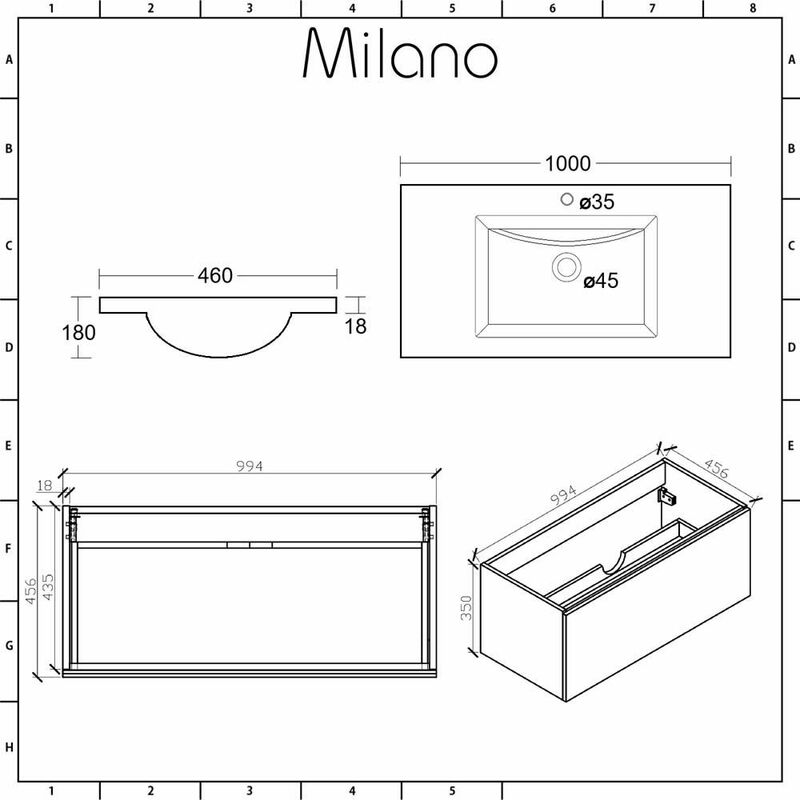 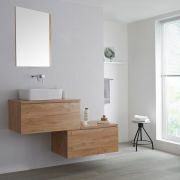 Add a luxurious feel to your bathroom with the modern style of the wall-mounted Milano Oxley 1000mm vanity unit and basin. 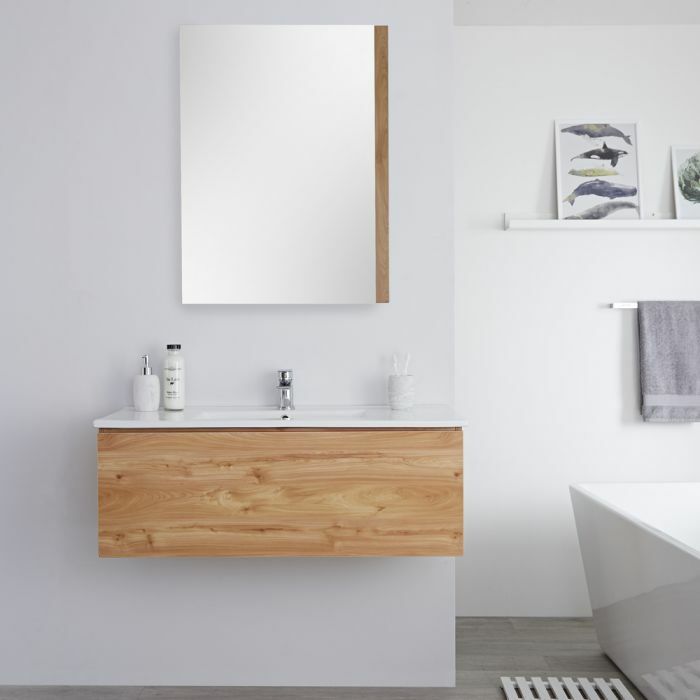 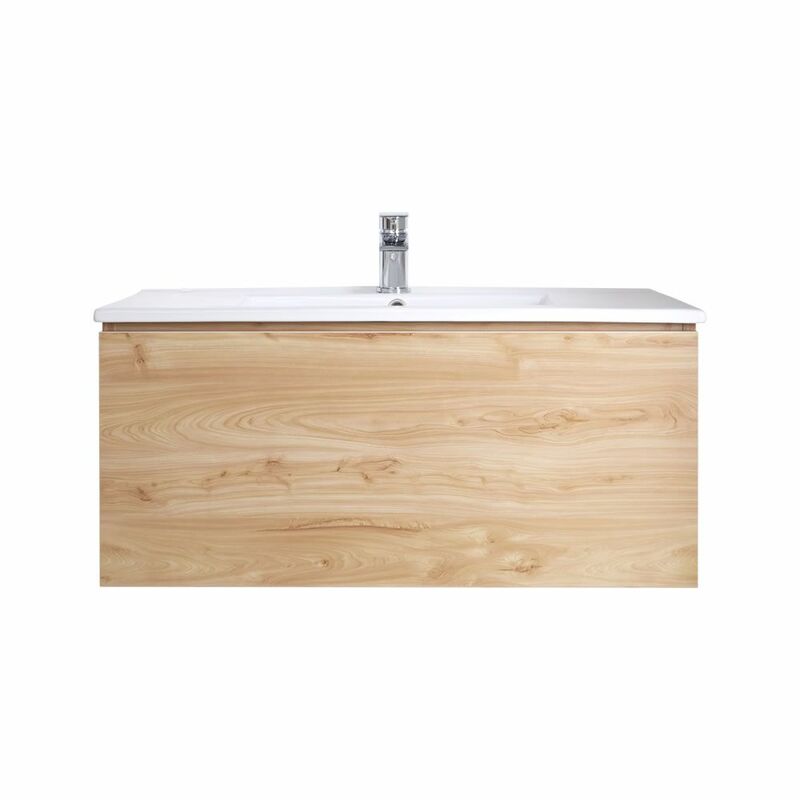 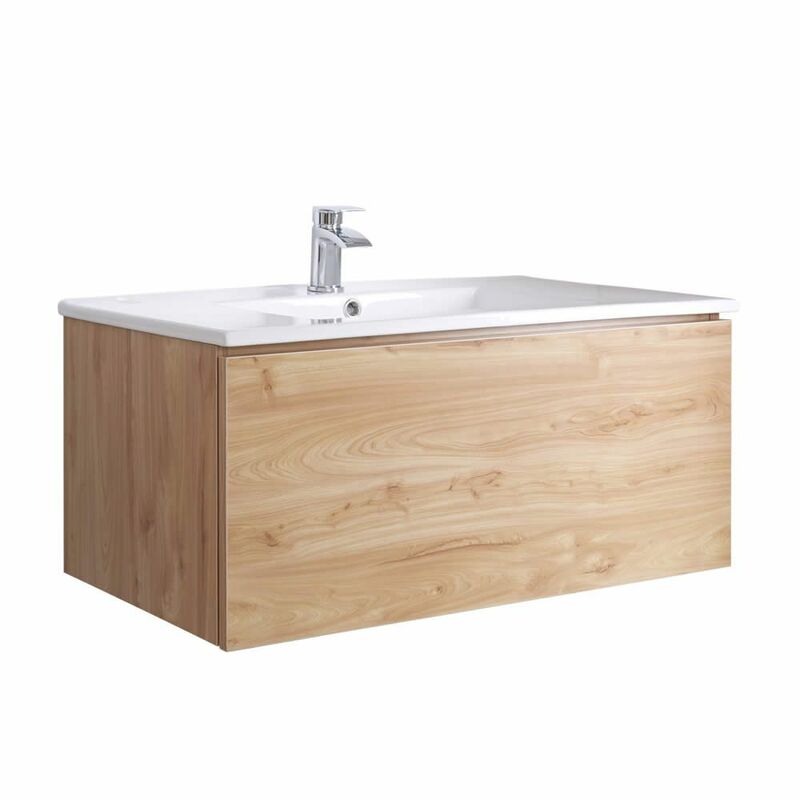 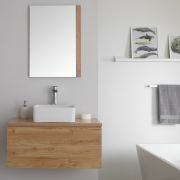 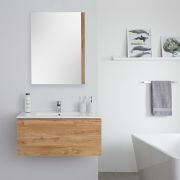 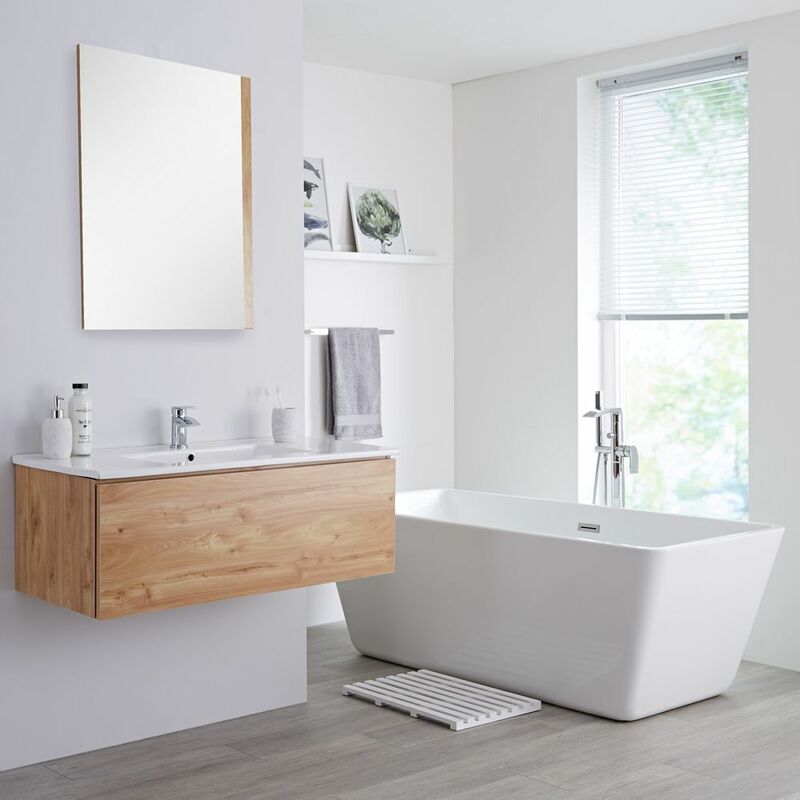 Constructed from robust moisture resistant engineered wood to ensure long-lasting durability and finished in a stunning golden oak woodgrain effect finish, the Oxley vanity unit effortlessly makes functionality look stylish. 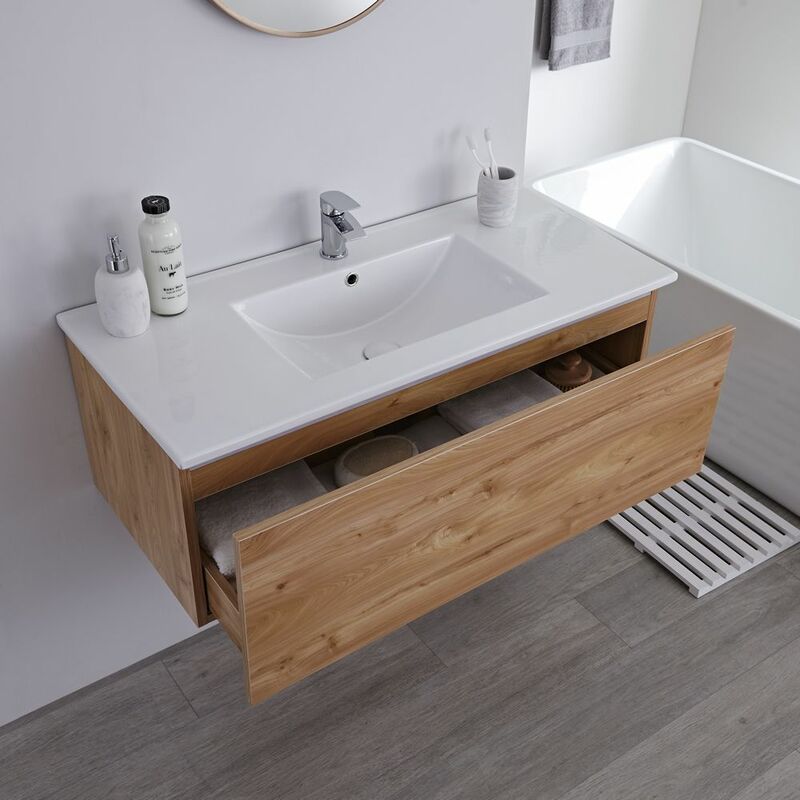 With a generous push to open soft close drawer to store your toiletries and cosmetics out of sight, your bathroom can maintain a minimalist look with little effort. 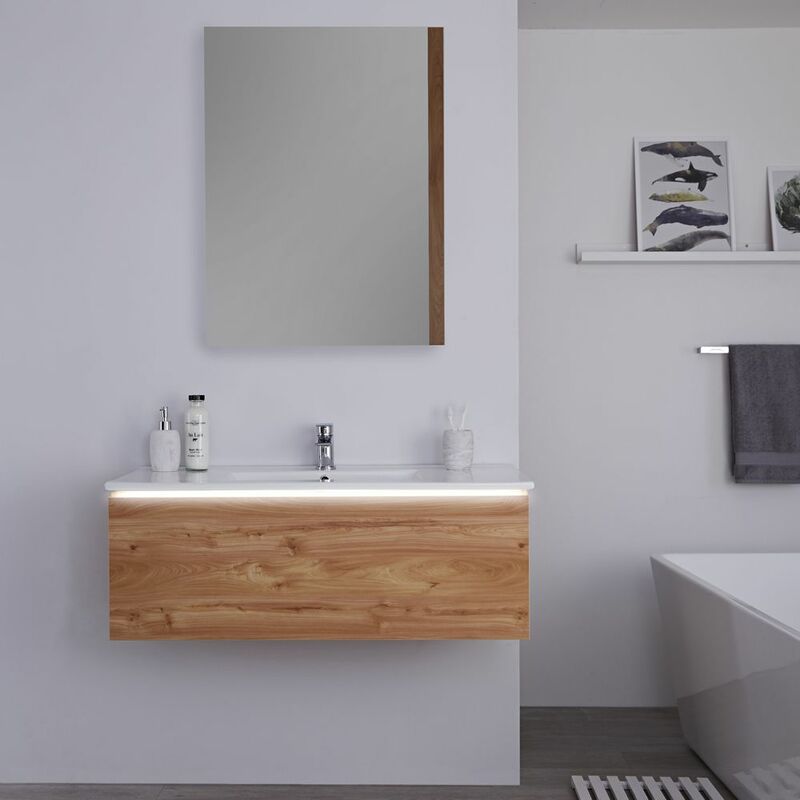 Completing the design is a sleek basin made from high quality ceramic that is finished with an easy to clean white glaze and features a single tap-hole. 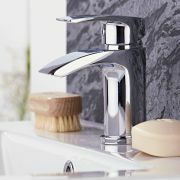 The final look can be customised by you with one of our mono taps to suit your taste.